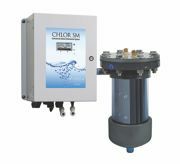 ChlorKing's® new Chlor MSM (Mini Switch Mode) line of salt chlorinators is designed to meet the lower-capacity needs of spas and smaller commercial pools, while giving them the operating efficiencies and safety benefits. Two models are available: Chlor MSM2 for spas and pools holding up to 2,500 gallons of water, and Chlor MSM5 for pools holding up to 75,000 gallons. They are capable of using salt to produce up to 2.2 pounds of chlorine or 6 pounds, respectively, over a 24-hour period. 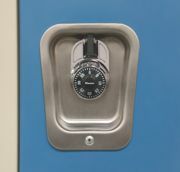 The Master Lock Company has introduced a new shackle shroud to help schools and recreational facilities upgrade the security of their existing combination padlock systems. Four new shrouded padlock models have also been introduced, offering facility managers a cost-effective option to enhance the security of their combination padlock system. The 1596 Shackle Shroud encloses the shackle of the combination padlock, blocking access and protecting the shackle from cutting or shimming. Keystone Ridge Designs Inc. has recently launched the latest addition to its diverse collection of benches: The Everett Bench. Durability and design meet in the creation of the Everett bench. The wide slats, broad arms and tapered legs form a clean, modern look while offering strong, supportive comfort. 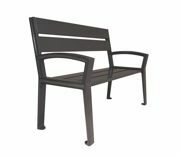 Available as a flat bench or bench with back, this patent-pending product series complements urban public spaces and contemporary landscape settings. Willoughby Industries' bottle filling station is perfect for parks, golf courses, fitness trails, college campuses or anywhere people need access to filtered water outdoors, even near beaches. Willoughby can optionally construct bottle fillers in marine-grade type-316 stainless steel to withstand the corrosive properties of moist, salty air. All outdoor bottle fillers feature an intuitive design with simple, vandal-resistant push-button or optional infrared operation, and a sanitary recessed filler spout, with a quick, 1-gallon-per-minute fill rate. Nothing is more functional than feet on the ground training your body in the real world. Increase speed, acceleration and explosive power on the surface you play on. Drive TANK on the football field, running track, basketball court or carpet. Whatever shoes your sport calls for, TANK allows you to train in them. Something that resists the athlete's efforts to accelerate and run faster is an exercise technology that has never existed before. Pentair Commercial Aquatics offers a complete line of Paragon® custom fabricated, corrosion-resistant, stainless-steel railings to meet any pool specifications. Custom railings can be used for any pool application, including entry, ADA compliant, stairs, deck guards and diving towers. Available in both 1.9-inch OD and 1.5-inch OD as needed. Design and engineering support are readily available. No Fault Sport Group's signature product, No Fault Safety Surface, has been making playgrounds safer for more than 42 years. This unique, two-layer system features recycled tire buffings poured into place at depths suited to your playground. Bright and colorful rubber granules are poured over the top, giving a seamless, polished look that's also functional. It's porous, slip-resistant and most importantly, provides life-saving fall protection.